Unbelievably it's September - eek! 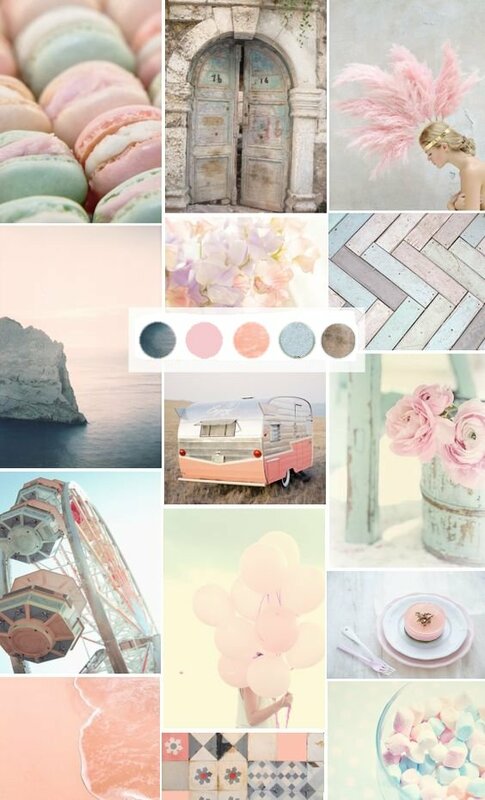 Kathy has chosen our "elemental inspiration" picture at Daring Cardmakers as it's the first Friday of the month and she found herself unable to resist one last mood board of soft, summery shades. As ever, just choose at least three elements from the picture to kick-start your project. I'm afraid pastel shades are always difficult for me and I struggled more than usual with this one - the circular file in the craft room saw quite a lot of action! 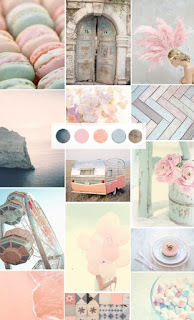 From the picture, I chose the overall colour palette (making it a bit deeper because, well, pastels! 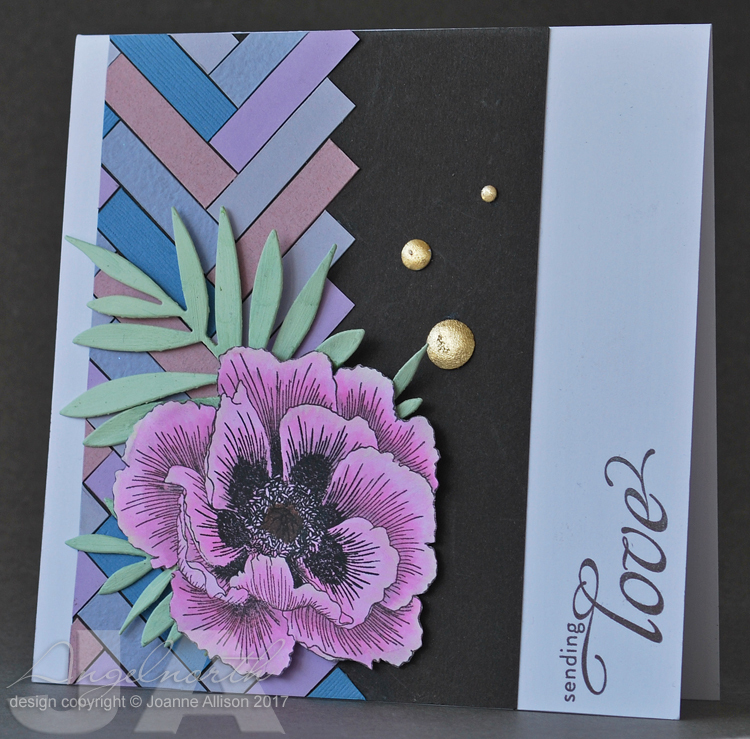 ), a frilly flower (I don't have a ranunculus stamp so I went for a poppy instead), the herringbone tiles and a splash of shiny gold. 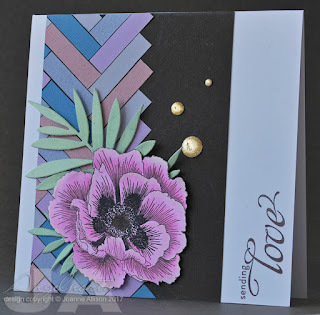 I raided my scraps folder for bits of cardstock in soft mauve, pink and blue-grey and cut little rectangles to stick onto a chocolate brown base - fiddly but quite satisfying! They're 4x1cm and yes, I really did study the picture to figure out those rectangles were four times as long as wide! I ended up painting the die cut leaves with acrylic paint because they were already out on my desk but not the right shade of green at all. I could have just cut another out of a different cardstock, I know! The dots are "waste" circles from various die cuts that were lying about on the desk - I covered them with Zig two-way glue and then added gilding flake before doming them with an embossing stylus. Adding them with glue gel is a good idea as it stops them flattening if you put pressure on them (inevitable if you're posting your card). Wow - such attention to detail Joanne! I love the way the chocolate background really makes those colours pop!